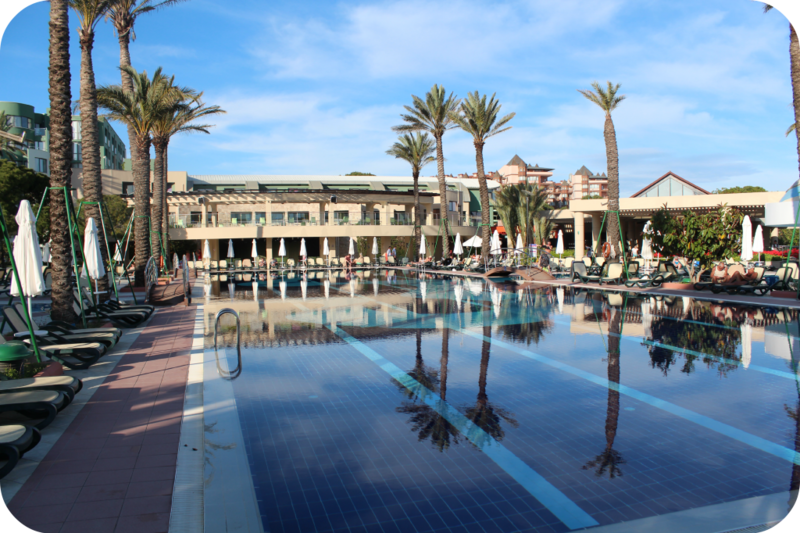 Over Easter we visited the Limak Atlantis Hotel in Belek. Looking for all inclusive hotels for a family of 5 is challenging, so I turned to Suzanne from 3 children and it and she recommended Turkey. I had been concerned that the room would be small so was nicely surprised when we opened the door to a large 2 roomed apartment with two bathrooms. There was a super king bed and twin bed and a sofa bed for a third child. They had set up a cot for little man so we used that instead. The shower was the best I have ever had in any hotel. There was a free mini bar in each room. This contained soft drinks and a couple of cans of beer. There was also a safe. The sunbeds on the beach were free of charge as were some watersports. We took out the pedalo and big man and Daddy went in a Kayak. There were many swimming pools but not really any kids splash pools. There was also an indoor pool which was never too busy (even on the day that it rained.) There was a shallow pool by the apartment that we used as this was warmer. We also plucked up the courage to go in the colder pools and use the waterslides which was lots of fun. It was still the "winter" season so not all of the restaurants in the hotel were open. The main buffet restaurant had a wide variety of food which changed on a daily basis. Breakfast included make to order omlettes and squeeze your own orange juice. I could have happily eaten here for every meal. However, the Turkish a la carte restaurant was free of charge once per week so we booked for this. I can honestly say that I had the best kebab ever! Possibley the nicest piece of lamb I have ever eaten. After having such a nice meal here we also booked into the Italian a la carte restaurant. This carried an extra 9 euro charge per person (only adults were charge as the children had kids meals) Once again another fantastic meal. We also paid extra to have a bottle of wine from the cart. The man goes round all the restaurants trying to get you to upgrade from your all inclusive house wine. The bottle recommend was nice and a reasonable price. There are also snack bars and you can get ice cream cones from one of these. There were 2 playgrounds for the children and climbing frames on the beach as well. The boys loved all of these. 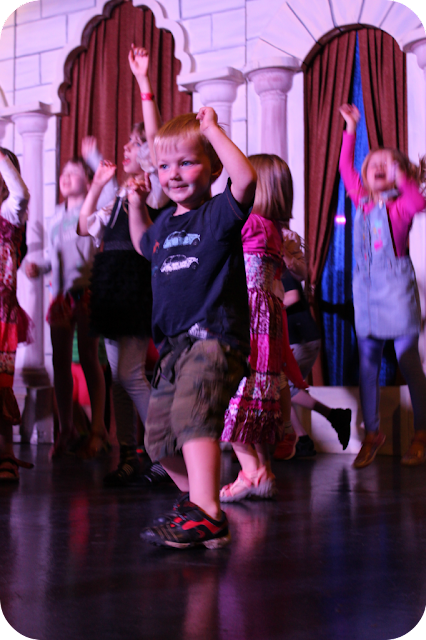 Our boys didn't go to the kids club, but we did go to the evening mini disco that they enjoyed. On the final night we also went to a Samba night which included some good dancers. We did have one day of rain so used this to go into Belek. There really isn't anything there other than lots of shops selling fake clothing. It was something to do on a rainy day but I wouldn't particularly recommend going. I did, however, have a proper Turkish apple tea here so I was happy. Excursions wise there was nothing that our children would have been interested in. The ones that looked interesting were a couple of hours drive away, so if you have small children it really is a resort type holiday. It is such a nice resort though this is fine. We had a lovely time at Limak Atlantis and I will definitely consider other hotels in Turkey after this and the Limak chain.